of communication. We are reading less, but our eyes are processing more. Our vision reaches far from a drones-eye view, and our imagination goes further with VR. We are looking for experiences that enrich our eyes and enhance our lives. experience the world in detail. 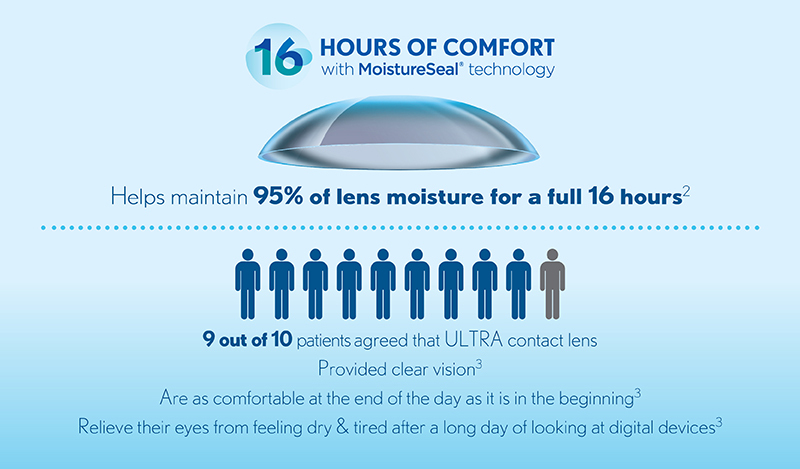 Ask your Eye Care Professional about ULTRA contact lenses today! Click here for ULTRA Authorized Practioners! 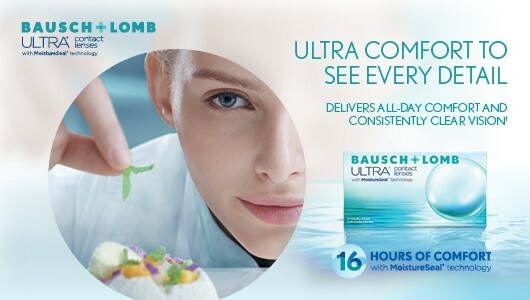 Contact Lens Study #817. 12 Dec.
to Air Optix Aqua, Acuvue Oasys and Biofinity Lenses.ROC2-13-002. 2nd May. Practice. Poster presented at the American Optometric Association. 2015.